Consider upgrading to TrueCut Cas9 Protein v2 for higher editing efficiency. Using StemFlex Medium? Show us how by submitting your scientific poster, and receive a t-shirt. Gibco™ StemFlex™ Medium supports the robust expansion of feeder-free pluripotent stem cells (PSCs) and is optimized to support novel applications, including single-cell passaging, gene editing, and reprogramming. 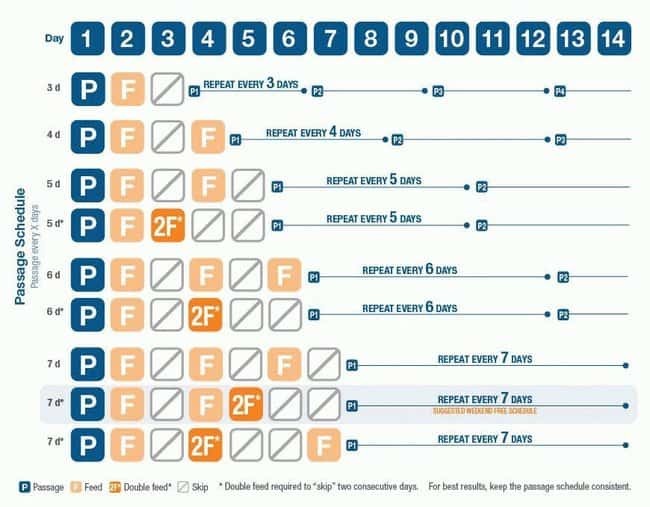 StemFlex Medium’s unique formulation offers the convenience of a flexible feeding schedule (including weekend-free options) and also the ability to choose the matrix and passaging reagent that best suits specific applications. 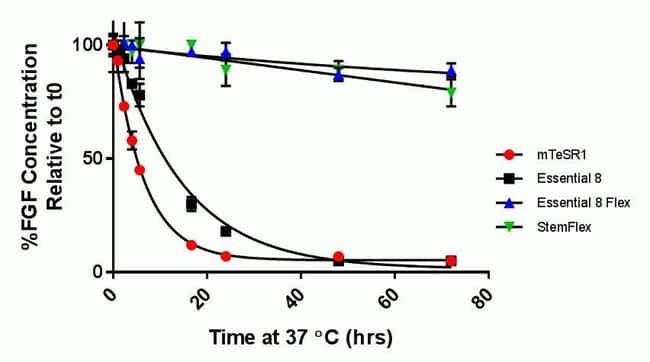 StemFlex Medium enables the long term feeder-free culture of PSCs without karyotypic abnormalities and maintains the cells' ability to differentiate into all three germ layers. StemFlex Medium is formulated to deliver superior outcomes in today’s more-challenging applications that stress PSC cultures, such as reprogramming, single cell passaging, and gene editing. StemFlex Medium provides superior cell survival compared to the leading competitor (mTeSR1), allowing for greater success in the most relevant cell types. StemFlex Medium allows for unprecedented 3-way usage flexibility for PSC culture conditions: the ability to select an optimal feeding schedule, including a weekend-free option; a choice of matrices, depending upon the needs of the workflow; and the option to select the passaging reagent for the level of cell dissociation required. StemFlex Medium is provided in a convenient two-component kit (450 mL basal medium & 50 mL supplement), and when used with Geltrex™ LDEV-Free, hESC-Qualified, Reduced Growth Factor Basement Membrane Matrix, provides a cost-effective, robust system for superior feeder-free culture of human PSCs. StemFlex Medium’s ability to enable weekend-free culture of PSCs provides unmatched value among the robust feeder-fee PSC media on the market today.